A big thank you to Elias G. who left our most recent 5 Star review on our Facebook Page! “I was recommended to Keith by a family member. My brother went to him last year and felt really good about the whole process. Keith was very professional and made sure I understood what to look for and how things would go. I shared some details about my then girlfriend and shared some pictures for ideas. Once I got to the office, there various rings and diamonds available for review. The GIA report was also shown and explained in depth. I took some time to think things over and after our second appointment I was ready to select the engagement ring. Within about a week the ring was ready and it was beautiful. My girlfriend said yes!!! And the ring fit perfectly. Be sure to check out our other reviews and our Facebook Page! Every year as we enter the romantic wedding and anniversary band season, NYCWD re-shares the published, advice article written by NYCWD President, Keith J. Saxe. This article has been met with some resistance from retailers, as it states when NOT to make your purchase. This article advises what is best for the buyer (you) and varies greatly from what you will hear from most store owners. Enjoy! 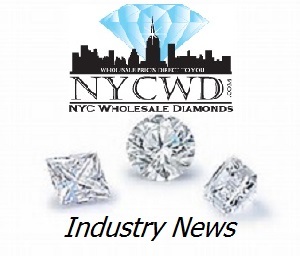 NYC Wholesale Diamonds proudly imports all of our diamonds directly from the Antwerp auctions, bypassing all middlemen and brokers. This allows us to offer true wholesale prices at very significant savings to our customers. 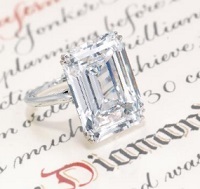 These are the absolute finest quality, conflict fee, and most ideal cut diamonds in the world! 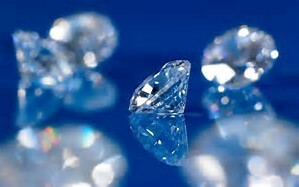 We can source any diamond for you! Christie’s unveiled the top lots that will go under the hammer at its Magnificent Jewels auction in Hong Kong this May, including Harry Winston’s famous Jonker V diamond. The rectangular-cut, 25.27-carat, D-color, VVS2-clarity diamond is expected to sell for $2.2 million to $3.6 million, or up to $142,461 per carat, the company said in a recent statement. The stone is one of a collection of 13 polished diamonds cut from the famous 726-carat Jonker rough, which digger Jacob Jonker discovered at South Africa’s Elandsfontein mine in 1934. The rough diamond, which at the time ranked as the world’s fourth-largest gem-quality diamond, was sold the following year to Harry Winston and was subsequently displayed during the Silver Jubilee Celebrations of the Coronation of King George V and Queen Mary, the auction house explained. Christie’s Hong Kong auction on May 30 will also feature an emerald-and-diamond necklace created by designer Edmond Chin, estimated at $3.6 million to $5 million. Thanks to John S., from Detroit, MI, for our latest Google review!